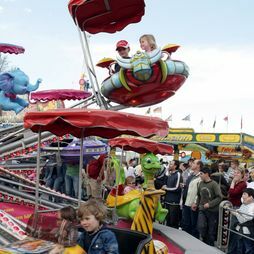 The Stuttgarter Frühlingsfest is popular for his family friendliness of which the large number of stalls and rides specifically for children is proof. 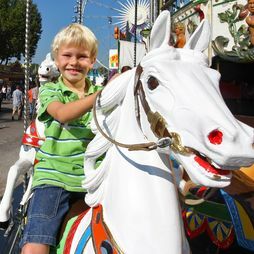 The highly popular Family Days have long been a good tradition at the Volksfest. 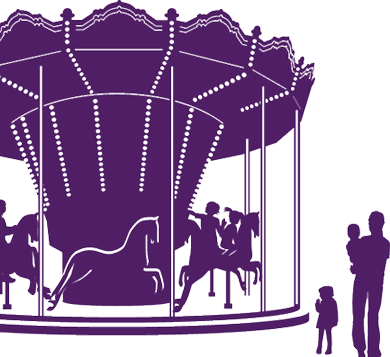 Every Wednesday, the fairground ride and stall owners, festival tent landlords and market traders offer concessions all through the day on many of their attractions. 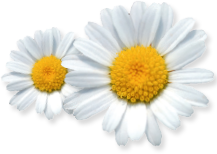 There are also lots of surprises in store for younger visitors. 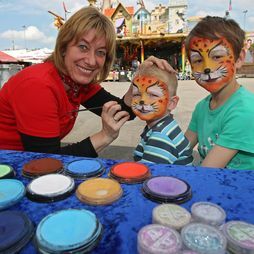 Whether it is face painting, clowns, fairy tale carousel or a children’s railway for the little ones, there is lots to see and do for everybody at the Volksfest. 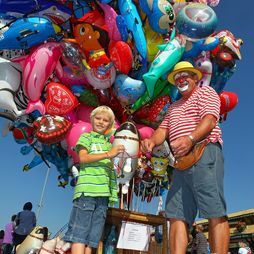 Many stalls and the large festival tents offer special children’s portions. 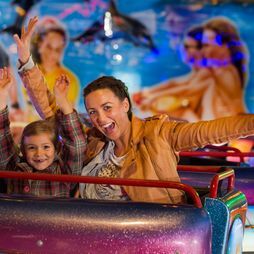 On many rides parents can accompany their children free of charge – the showmen are looking forward to welcoming you. Baby care rooms are dotted around the festival site next to the free-of-charge toilets. 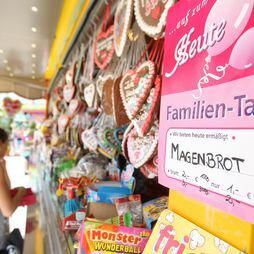 For many years now, the German Red Cross has been running a child collection point where lost children are cared for and can be collected by their families.